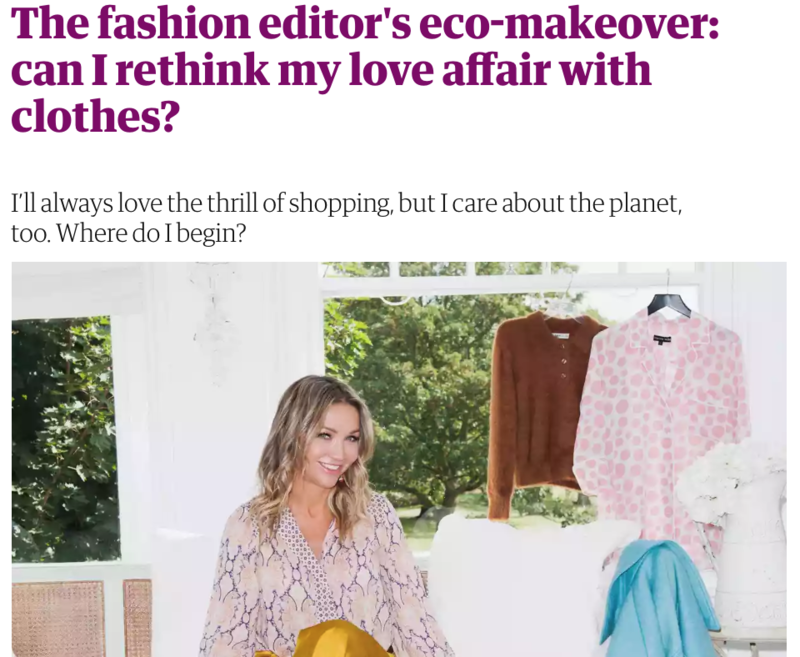 In the most recent fashion special from The Guardian, Jess Cartner-Morley explores the how to balance love of fashion with sustainability. Featuring Clothes Doctor, Lulu recommends how to rework garments to wear what you love for longer. This weekend, The Guardian feature their fashion special, covering our two favourite topics: fashion and sustainability. issues close to our hearts, we were super keen to dive in head first. Luckily for us, it turns out we got a mention as a sustainable alternative to help add longevity to much loved garments that may need a little tlc. Fashion Editor Jess Cartner-Morley explores the environmental impact of fast fashion, in her article, ‘The fashion editor eco-makeover: can I rethink my love affair with clothes?’. As a city dwelling, hard-working and fashion loving woman in the 21st century, this article was incredibly relatable. With growing concern around the pollutive impact of textile waste, Jess comes up with practical tips on how we can each do our bit for the planet...and Clothes Doctor got a mention. Clothes Doctor founder Lulu O’Connor was asked to share her own ideas for the article and focused on reworking and loving our existing wardrobe. Lulu gave the example of transforming an oversized T-shirt into a tapered midi-crop which can be paired with high-waisted trousers and heels. If 50% of clothing in the UK was extend by 9 months, 8% of carbon, 10% of water and 4% of waste would be saved per tonne of clothing (Wrap: Valuing Our Clothes: The Cost Of Fashion). More than ever we are being asked how we can adapt our fashion consumption habits to live more sustainably; getting longevity from the garments that we already own is a simple and easy step in the right direction. Click here read the Guardian article in full.